Opening practice for the Virgin Australia Supercars Championship at Symmons Plains will see drivers feel out revisions to Turn 2. The traditional tyre bundle has been removed this year and replaced by a 120mm high inner-kerb that is designed to discourage corner-cutting without damaging the cars. It is one of three minor tweaks to the 2.41km circuit that follow the extensive upgrades delivered to the gravel traps and walls ahead of the 2016 event. 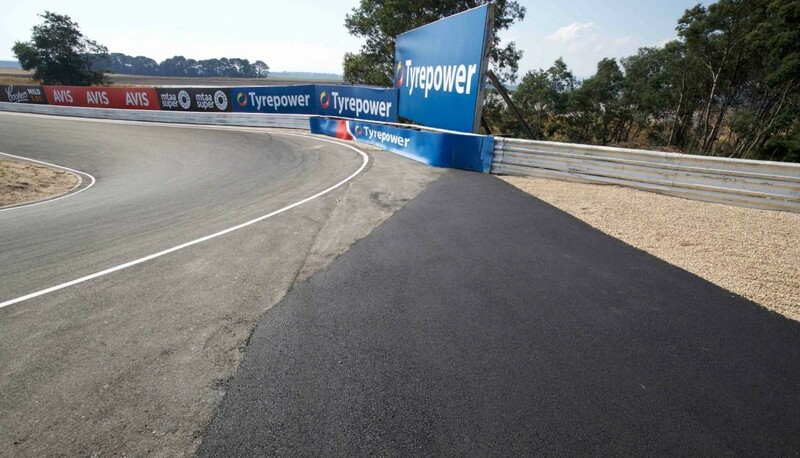 Other changes see an extension of the tarmac section of run-off at the Turn 4 hairpin (pictured below) where Shane van Gisbergen’s bid for victory came unstuck last year. 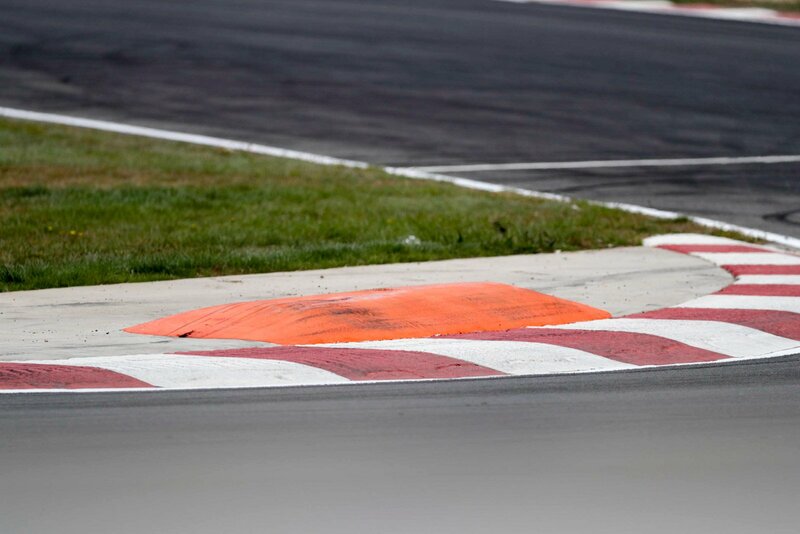 A small concrete extension has also been added at the exit of Turn 7 to smooth a previously tearing edge of tarmac. Drivers completed their traditional track walks yesterday, while some also observed this morning’s opening Dunlop Super2 Series session to further understand the Turn 2 change. “I think it’s going to save some front bars from getting destroyed, that’s for sure,” Fabian Coulthard told Supercars.com of dropping the tyre bundle. “We used to use the tyre bundle as an apex, but this gives us some safety margin. “I don’t believe we’ll use the kerb because of the height of it. That’s certainly what we saw in the Super2 session this morning. All eyes will be on the performance of Coulthard and Scott McLaughlin today as the Shell V-Power Racing Team returns to a circuit on which it struggled last year. While teams have a limited stock of pre-marked tyres for practice, each car has a new set to use that must be handed back at the end of Friday practice. “I think we’ll have a pretty good idea of where we are today because we struggled here in all sessions last year,” said Coulthard. “The boys have been working hard to make sure the cars are better and we’ve been competitive on all three tracks we’ve been too. Red Bull Holden Racing Team driver Shane van Gisbergen will sport a red #97 in practice as Supercars continues to assess ways it can help fans easily identify the current points leader.